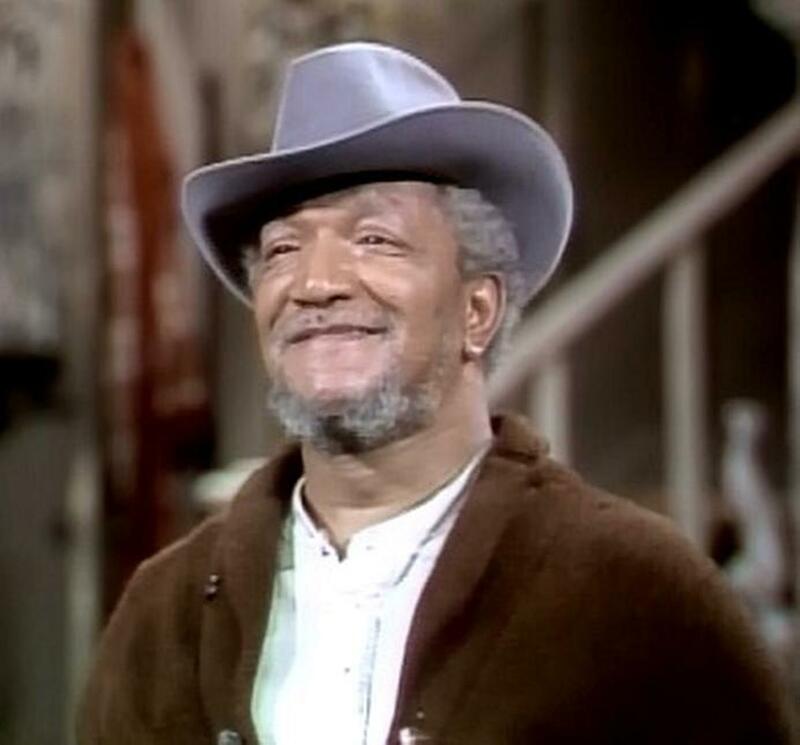 "What if Fred Sanford ran for President and won?" Lamont would be vice-president. The White House would be called Sanford Arms. "The truth shall set you free, HALLELUJAH!" Aunt Esther: "You know Esther who! Open this door fool!" Pres. Sanford: "I can't open the door!" Pres. Sanford: "You too ugly!" Aunt Esther: "Who you calling ugly, sucker?" Pres. Sanford: "I'm calling you ugly. I could push your face in some dough and make gorilla cookies." Aunt Esther: "Watch it, sucka!" "We could have a little pork and beans now and a little zucchini later, or a little zucchini now and a little pork and beans later, or if you like the pork and beans, you can have them and I'll take the zucchini, or I can take the pork and beans and you the zucchini so what will it be? Zucchini or pork and beans?" V.P. Lamont: "The oven don't work." Instead of the Secret Service, President Sanford and his V.P. son would be protected by officers Smitty and Hoppy. Grady Wilson, uncle Woody and Bubba would be the official Presidential advisers. Camp David would be located at El Segundo! "Ladies and gentlemen, the President of the United States, Fred Sanford." President Sanford: That's S-A-N-F-O-R-D period!" If a congressman or senator did not agree with President Sanford on issues, he would politely say, "How would you like one across yo lip?"